Arno Allan Penzias (b. 1933) was born in Munich. As a six year old, he was evacuated from Nazi Germany through the British Kindertransport rescue operation which saved 10,000 Jewish children. He was later reunited with his parents, who brought the family to New York. 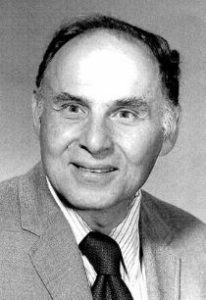 Penzias grew up in Brooklyn and went on to study physics. He graduated among the top of his class, then served two years in the US Army as a radar officer. From there, he got a research position at Columbia University’s Radiation Lab, where he helped to develop the maser (a “microwave laser”). 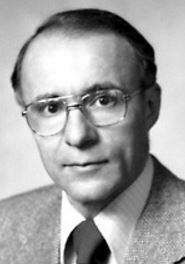 After earning a Ph.D in physics from Columbia, Penzias got a job at Bell Labs to do astronomy research with microwave receivers. He was soon joined by Robert Wilson. The two noticed their antenna picking up an inexplicable signal. After ruling out all forms of interference, and carefully cleaning the antenna, the weak signal persisted. 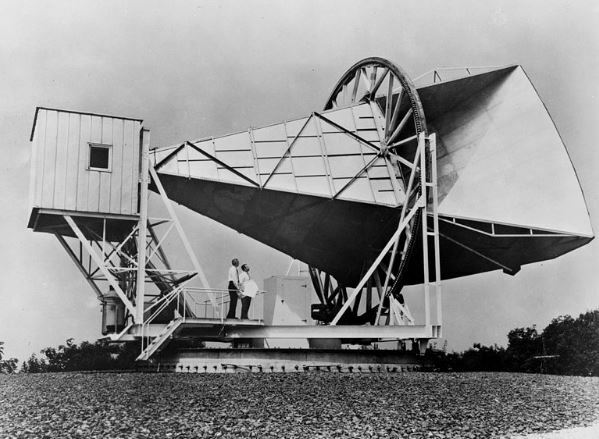 The two collaborated with another physicist, Robert Dicke, to show that this signal was the cosmic microwave background (CMB) radiation, the remnants of the universe’s birth, as predicted by the Big Bang Theory. The existence of CMB confirmed that the universe had a beginning, with a burst of radiation, and simultaneously confirmed ancient Jewish teachings about the universe’s origins. The Zohar, a famous mystical commentary on the Torah that was first published some 700 years ago, explains that the universe began with a nikuda hada d’zohar, a singular point of radiance, from which all things were formed. The Zohar explains that this ever-expanding radiance continues to fill the universe, based on the words in the Biblical Book of Daniel (12:3) which describes the “radiance of the firmament”. In fact, this is how the book got its name, Zohar meaning “radiance”. Penzias’ and Wilson’s monumental discovery brought about a beautiful harmony between Torah and science, at once confirming both the modern Big Bang Theory and the holy words of the ancient Jewish Sages. 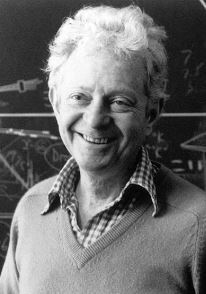 The two physicists won the 1978 Nobel Prize in Physics. Penzias continued his work at Bell Labs for a total of 37 years, rising to the position of Vice President of Research. He was made a Fellow of the American Academy of Arts and Sciences, and the National Academy of Sciences. Penzias later moved to Silicon Valley to advise venture capitalists and tech start-ups. Despite being in his 80s, he is still a venture partner at New Enterprise Associates, and says he has “no plants to retire”. Astronomy leads us to a unique event, a universe which was created out of nothing, one with the very delicate balance needed to provide exactly the conditions required to permit life, and one which has an underlying (one might say ‘supernatural’) plan. This entry was posted in Science & Technology and tagged Astronomy, Bell Labs, Big Bang, Brooklyn, Columbia University, Cosmic Microwave Background Radiation, Creation, Genesis, German Jews, Kabbalah, Kindertransport, Munich, National Academy of Sciences, Ph.D, Physics, Silicon Valley, Torah, Universe, Venture Capitalist, Zohar on April 14, 2017 by Jew of the Week.